Scotland the brave! The remote cottage in the Perthshire countryside, where we are on holiday, is beautifully quiet: the only noise is an occasional car going by on the one-track road, and except for the birds singing and the rain falling, there is a ‘golden’ silence. For me this is just wonderful – so different from monastic Parish life – and even the rain has not been an obstacle! I am holidaying with a priest friend, and apart from getting on well, we must have played ‘Scrabble’ at least twice each day. Holidays are often difficult for monks. In my case, the least I expect from a good holiday is to be able to spend time resting, properly; for me, this means praying, celebrating the Eucharist, sleeping, going for good walks, reading, talking, playing board games, watching something sensible on TV, going out for a meal at a hotel and just, generally, ‘mooching’ around! If someone was to ask me my choice, a beautiful sunny place but without agreeable company, or an unsuitable, rainy place, with a good friend, I would know, at once, the one I’d prefer! The hope is that, on return, we will not be like many holiday-makers, coming off an early flight from the USA into Manchester Airport, at 6.00 am; generally, most of these have looked tired-out, harassed and in need of a good holiday, whenever I have happened to be there, meeting friends to bring them back to Leyland! 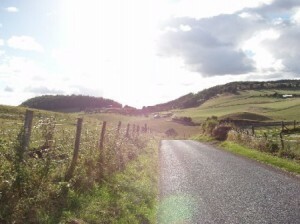 But, that aside, the USA and all such destinations, Scotland is another country, altogether, and, with some Scottish friends, and even a local workman, there has been much discussion – not least on the subject of Scottish independence. 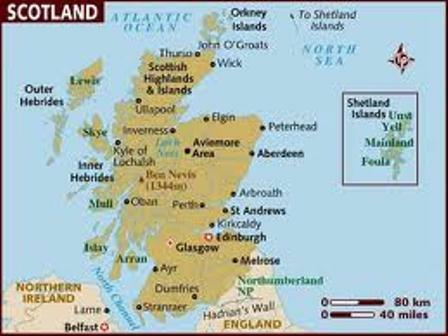 Visiting Scotland, and Ireland, (with a little of similar experiences in Wales) brings me to the realisation that opinions vary widely, within the people of each country, as to their view of England – and the English! For Scotland, ‘Scottish Independence’, in some form or other, seems a strong possibility. But, inevitably there are important questions. If it should happen, how will it take shape; what will be the effects for Scotland and for England? How the people – the ordinary people, of both countries – will manage, remains to be seen. The nicest and most sensible Scottish people support the Scottish National Party (SNP), alongside some nice and sensible people who don’t, and not all who support the SNP, want full independence, though some do. There are arguments, for and against, the ‘Scots’, and the rest of Britain, being viable, economically, each in its own right. And this does not even begin to address the questions of a viable foreign policy, for each of the two different, independent countries. 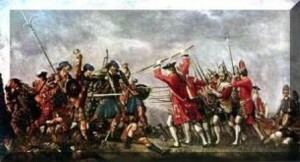 History teaches us – with evidence for all to see – of the very divisive English interference in Scotland, with these long, military, roads built to subdue the unruly Highland Clans; the very ‘bloody’ battles, like that at ‘Culloden’, are not simple to unravel, and explain, because the ‘Scots’ fought on both sides, alongside, and against, the English ‘Redcoats’. It makes for sad thoughts, at what our English forebears have done, in our own Britain. At the same time, in Perthshire, at least, there are hotels and ‘pubs’ that go under the name, ‘The Royal Hotel’, and on entering any one of them, the atmosphere is distinctly Scottish, but the pub rejoices in the English and Scottish Royal Family, whose forebears were the very ones to lead the attacks against some, long-dead, sections of Scotland’s society. The very name ‘The Royal Hotel’ seems, in my English way of seeing things, to endorse the Union of Scotland within the United Kingdom. Yet, that may not be so, for in any separation of Scotland and England, I see our Monarch as remaining monarch of both countries. It would be a rather strange twist of fate, if each country were to end up with separate governments, an independent army, navy and air force, independent foreign policies and independent economies, and yet with a common monarchy! On another ‘tack’, in England, the Monarch is head of the Church of England; in Scotland, the Monarch is a member of the Church of Scotland, i.e. not the Anglican Church, but a church that has its teachings rooted, much more, in Calvinist teachings. The Church of Scotland is ‘Presbyterian’. For us Catholics, in England, is this not rather an ‘Alice-in-Wonderland’ way for a monarchy to behave? The positive side of all of this is the possible emergence of new nationhood, and a realisation that difference is not something to be rejected, but something in which to rejoice. One of the songs, heard at the ‘Mariapolis’, has great meaning for me; it is called “You are a gift for me”, and it has relevance for ‘personal’ relationships, as well as ‘national’ relationships – that is, if it is possible to speak of the latter in such terms. All of us are ‘gifts’ for each other, both as individuals and as nations. In my way of thinking, there is a special ‘genius’ within each nation – some esoteric thing that ‘characterises’ the society, the people – a unique quality that could be seen as service to the good of all humankind, and not just used, selfishly, for the promotion of the particular nation’s good, to the exclusion of all else. Thus, within the ambit of our present discussion, the challenge will centre on how to develop relations between ourselves as different nations, perhaps federated within the United Kingdom, and Ireland – at the service of each other, at the service of Europe, and then, inside Europe, but at the service of the rest of the world. It would be a long-term project, and lots of steps would need to be taken to promote good relations within the peoples of England, Ireland, Scotland and Wales. Somebody once said: “if you want to change the world, let it begin with me”, and that is something each person could take up as a challenge; being open to the goodness in others, rather than wanting others to conform to me – and my way of thinking; it would be the same for our nations. From a personal perspective, it would not be easy to live out – to fulfil this idea. But, if the attitudes, necessary, were mutual, it could lead to a revolution of love, rather than towards the accepted norm of a kind of in-built mistrust. The happy, and very successful, visit of Queen Elizabeth and the Duke of Edinburgh, to Ireland, in May of this year, may well prove to have been an evolutionary milestone, in this process. 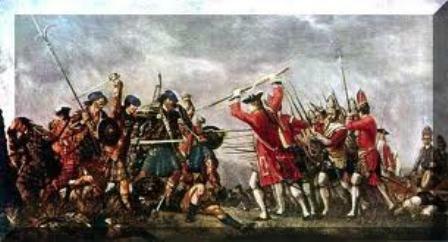 Scotland the brave! – a ‘romantic’ title, if you like, but one, perhaps, summarising something of the ‘spirit’ of these people, north of the border with England, and we, in England, can rejoice in it. I feel very much at home, holidaying in Scotland, and I hope that, peacefully, visiting this lovely country will continue to be possible for us Sassenachs, for many years to come! Scottish independence is surely something to be left to God’s will for the future, but we can all surely do without any more Hadrians – and without any more Hadrians’ walls.